Residents of a Hoxton housing estate have been left “in limbo” after the family firm of Britain’s richest MP bought a stake in their homes. Conservative MP for Newbury Richard Benyon is director of his family’s Englefield Estate – which is valued at approximately £125 million. Their portfolio includes the Benyon Estate, managed by his brother Edward Benyon, which comprises some 300 properties in De Beauvoir Town. 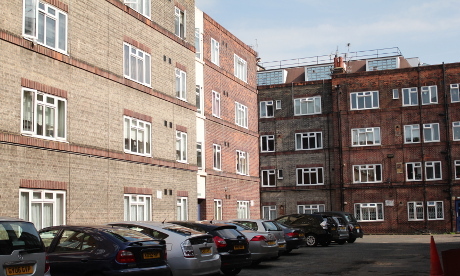 A private investment company in which the Benyon Estate is a “minority shareholder” bought the New Era estate, built in the 1930s, from previous owners First LBS Holdings Ltd this March at “true commercial market value”. The Benyon Estate has confirmed that it has managed the estate since the acquisition. Up to 90 families currently live on the New Era estate. Pauline, who has lived on the estate for 15 years and who did not want to be identified said that once the buildings were sold the changes came in “like a bomb”. She said residents were advised to sign 12-month contracts with a rent increase of 10%, after which the rent would be raised to “market value” of £2,000 a month. “I’ve got an uncle who is 85, his wife is 90 and she has Alzheimer’s and is blind. There is going to be no provisions for us. We will have to be evicted by bailiffs before we are re-homed. We went down to the council and filled in the forms and they said we can’t be rehoused as we are not homeless. “Mr Edward Benyon previously said they were going to knock it [the New Era estate] down. They would have done us a favour if they had knocked it down because then we would have been re-housed. As it is now we are all in limbo. One woman who had lived on the estate for seventy years said she was too upset to discuss the matter. In a statement, the Benyon Estate said that an independent surveyors’ report had found that there were “numerous deficiencies” with the buildings such as poor heating and badly damaged windows, meaning “substantial investment” was required to renovate it. “As a landlord, to run this estate as a going concern requires an income equal to market rates of rent. In light of this, we have given our existing tenants new 12-month contracts at rent levels that are at substantial discounts to market rates; therefore, the tenants have an extensive period of time to make alternative arrangements, if this is what they want to do. But Pauline said: “Mr [Edward] Benyon said he’s seen every single family. He has not seen every single family. I’ve never spoke to him in my house or at all. We found out he had taken over on the Monday and we got a letter within two days saying the rent had gone up 10%. The letter said it would then be going up to market value. First LBS Holdings Ltd changed its name to Hoxton Regeneration Ltd in April this year. 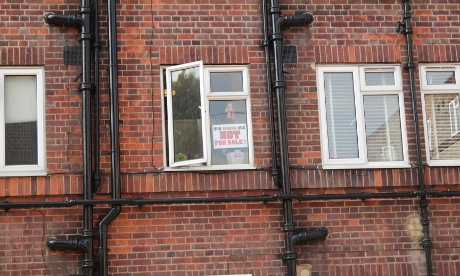 Hackney’s directly-elected mayor Jules Pipe said: “‘I am deeply concerned to hear about these rent rises. So-called ‘market rents’ are way beyond the means of many residents. Such rises threaten to tear the heart out of a long-established Hackney community as people are forced to move. Treating tenants in this way is not reasonable. Heather Kennedy, organiser at Hackney housing group Digs said: “What is happening to the New Era estate is happening to people all over London. The current system is turfing people out of their homes and destroying communities. What kind of society allows the naked greed of wealthy landlords to trump people’s need to be housed? Alex Hilton, Director of Generation Rent, a rent campaign group for private tenants said: “Wages haven’t gone up for years, benefits are being cut and to slap an entire estate with a 10% rent increase is simply inhuman.